RFID technology has been applied in attendance system in the recent year. However, there are still some limitations such as the information visualization of RFID tag and short reading coverage. 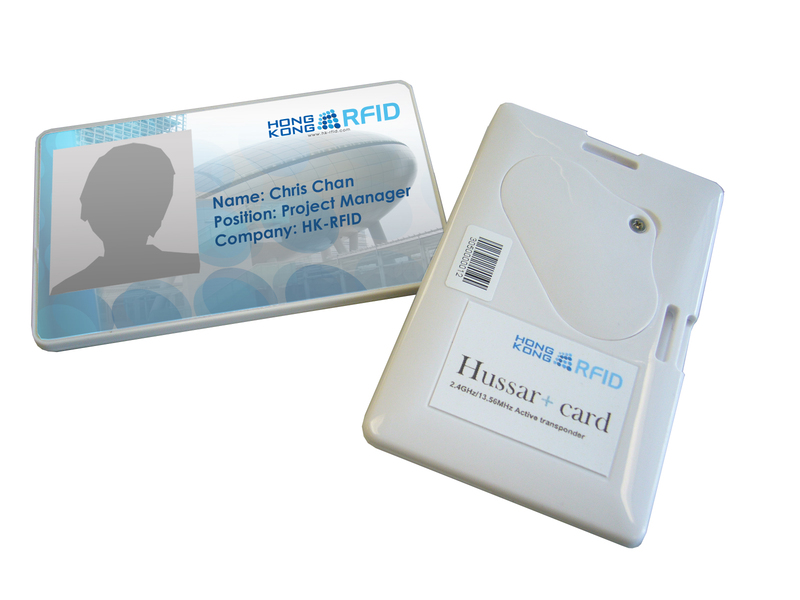 Our least active RFID product HussarTM will help to optimize the school attendance system. RFID School attendance system saves manual paper administration and management work. As it is a web based tracking system, the attendance of students and teachers who carry a HussarTM 2.4 GHz Active RFID Tag (CT02/CT02+) can be easily obtained. Reports about absenteeism and lateness to school could be generated automatically as well. As long as a browser and a real time online screen is present the time, place and photo of student entering a specific room in the school can be easily retrieved with a few clicks. RFID tag has been commonly served as an identity card in school attendance system but the size of it restricts the visualization of personal information. The traditional tag is small in size and therefore it may only allow basic personal information. To cover this limitation our company introduces a smart card size active RFID tag and it can be fit to ISO card sticker. Personal information such as photos, address and contact number can be added for identification purpose. This unique design can accommodate the need of more information visualization. The Active reader can be installed at different places in the school. The reading distance can be adjusted from <1meter to 50 meters. School can manipulate a specific reading zone. For example, reader can be installed at school entrance, when teachers and students with tag across the entrance, their attendance can be obtained. Or reader can be installed in classroom to collect the class attendance. Redundant manual checking process can be therefore minimized. HussarTM reader can read 100 tags simultaneously without interference with 2.4GHz network. Every tag has a unique tag ID therefore duplication will not exist. The accuracy of the system is very high. HussarTM active tag is small with replaceable battery. The battery life is estimated 2 years. With such low power consumption, the operation cost of the system can be thus reduced. For HussarTM 2.4 GHz active tag CT02+, it shares the similar feature of CT02 but it’s also support NFC RFID technology. It is preferable for school who has already adopted NFC technology. The adoption of RFID School Attendance system will enhance efficiency in school management and put parents at ease as they can check the time and attendance of their kids conveniently.